Forgive me, Church of Build Threads, for I have sinned. It has been less than twelve weeks since my last Mk1 Golf feature, but I cannot resist the temptation put yet another one on the site. I knew I was going to love this build from the first time I saw it, for the sole reason that I’ve already featured a previous build from the same owner, the Mustang Pace Car. I am so jealous of people who manage to have multiple cool builds on the go at the same time, I struggle to even have one! I was very interested to see how the vinyl wrap turned out, as it’s not something I’m used to seeing on classic cars, but it looks great. 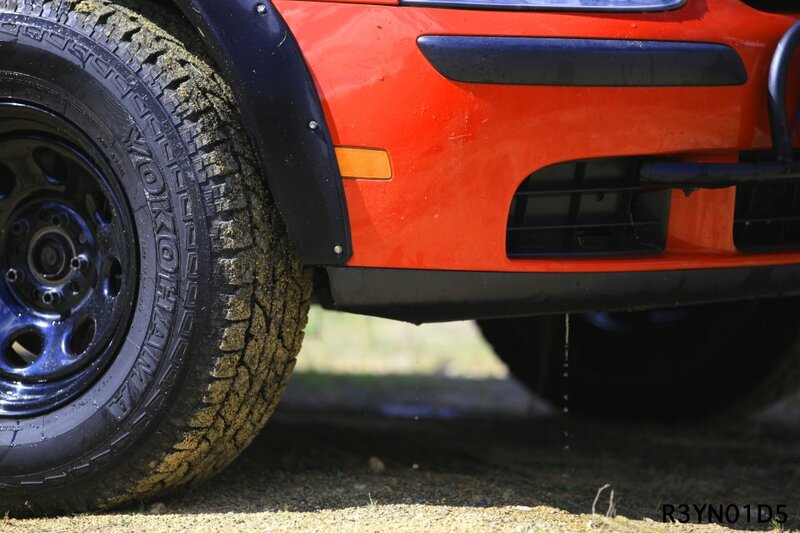 The car is neat to start with, but becomes a whole lot better with additions and improvements to all the usual areas, such as body, interior, wheels, suspension, and plenty of fine detail work. I’ve noticed a little bit of backlash whenever I feature a Golf on the site. Not much, but enough to make me second-guess posting the next candidate I come across. 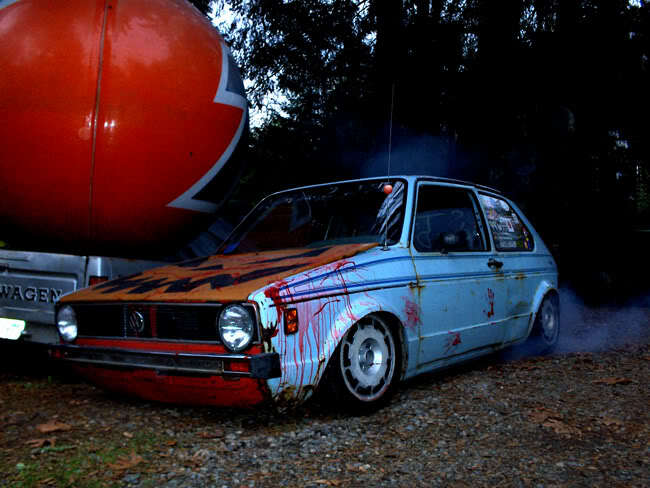 I like Golfs, I own one, and if you think they’re too common, modded in the wrong way or even if you don’t like the owners for some reason, I don’t really care. So, here’s another one, but it’s modified in a very different fashion, so it should shake things up a bit, consider it the ‘anti-stance’. Thanks to Nicolas for submitting. 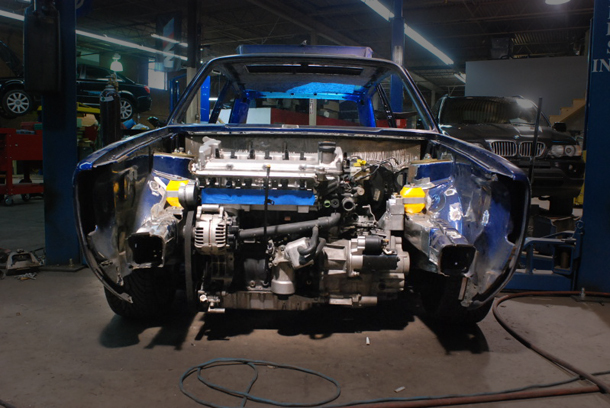 Remember the Eurowise AWD R32 powered Mk1 rabbit? Well it’s still in progress, but the team responsible for the build decided they wanted a sweet ride of their own to debut at the recent H20 show. So with that in mind they locked themselves in the Eurowise compound and built a VR6 powered Mk1 Cabby in 16 days. 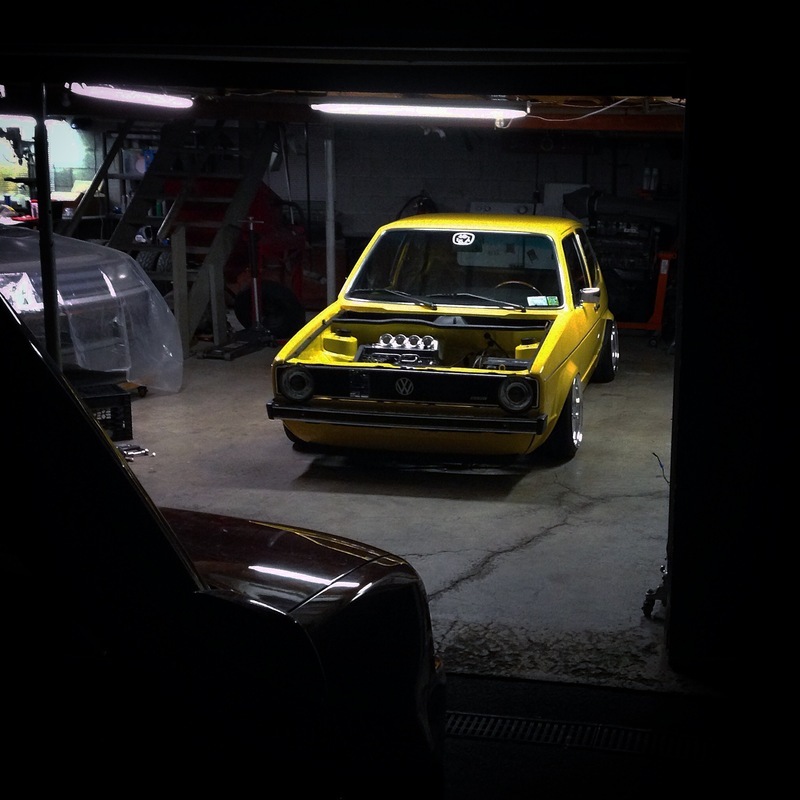 That’s an engine swap, bodywork, paint, interior, suspension…all in just over a couple of weeks. Anyone else feeling very lazy and incompetent at the moment? I think I better feature this build just so people stop submitting it! Around 3 or 4 people have emailed me various links to this car in the last month, including one of the men behind it, Mike from Eurowise. Once you take a look at the images, you’ll see why it’s getting so much attention. Already the recipient of one very nice build including a turbo’d 16V 2.0, the car has recently been torn down for a full overhaul. It’s no secret I’m a big fan of MK1 Golfs, and even though I like them a bit more sedately built, this one takes things to the extreme with an engine, driveline, and floorplan being swapped under it from a MKIV R32 Golf, including the AWD system. I especially like how the MKIV rear end was shortened and sectioned to fit inside the dimensions of the MK1 body, instead of just tacking on some wheel arch flares or going widebody. Did I mention it’s also going to be twin turbo?